Buddman04 1997 Jeep Wrangler .. Seems to be a monster for finding parts... WTH? Visit the Like Button Below! Discussions on Mechanical, Troubleshooting, & Documentation. Discuss New Models coming out Including Related Items. Post Your Tip/Trick big or small. 4x4 Handy New or Old Products. Discussion of Older Civilian Jeeps (CJs & Older), Military Jeeps & Related Equipment. Restorations, Links, New To Old Conversions, Jeep Trailers, Uniforms, Pictures & History. Discussion on Tow Rigs, RVs, Campers, Car Hauler/Trailers, Flat Tow, Proper Tie Down. Schedule a Wrenching Party at your Location. Need an extra hand or a Tool. Discuss New or Old Tools. Anything Goes! Introduce Yourself! What pictures did you take, don't like onions, how about that beer can chicken. Post any of your Unique Pictures or Videos. Jeep Talk Member introductions. Let's hear it! Submit & Show Your Jeep Ride. Jeeps will be Posted on Top. Discuss Scheduling & Info of Trail Rides & Wheeling Events. (Local or Nationwide). Don't forget to make a Calendar Entry. Wheeling & Event Pictures/Movies from Past or Present. Discuss the Aftermath of Trail Rides as well as Happening Events. Upcoming Events (local or nationwide). Events other than Trail Rides. Nationwide discussion, participation, Permits & news on the opening or closing of trails. Listings, Links and information of all Jeep Clubs, Organizations. 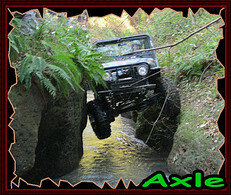 & other 4x4 Forums. Private Forum for authorized Members. Sell Jeep stuff & Related Items. Wanted Jeep Items. Trade, Give Away Stuff, one man's junk is another man's treasure. Jeep Related Manufacturers, Dealerships, & Private Advertisers. Let JeepTalk know about your products & promotions. Members, post (good or bad) info. on service, purchases, interviews on any Jeep product, 4x4 shop, where to get work done, and member to member purchase. Need to Sell, Want, or Give Away not so Jeep related, have Job Opportunities, this is your place! Suggestions, Information, Updates & New Features of JeepTalk. Ask for Help or report problems you are having navigatine on JeepTalk. Discuss JT Updates & Moderating Issues. Check your sample Post for Smilies & Signatures.